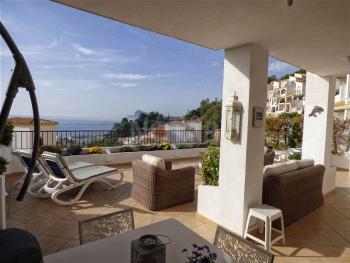 A lovely, modern, well maintained 2 double bedrooms apartment situated on the edge of the old town of Altea. It has a seperate kitchen with utility room and outdoor private parking. The complex has one of the very best communal gardens with a large swimming pool and tennis court. Close to all amenities. Supermarket, school, restaurants and bars yet still in a quiet area. The property comes fully furnished as you see in the photos. The old church of Altea is approx 300 meters to walk passing shops and restaurants on the way. Palau de Altea cultur center is only 100 meters from the apartment. The apartment location is so unique. Use it as your full time home or for holidays, then rent it out for the rest of the year. A very good investment as everything you could wish for is all in walking distance. You can take over the rentals already booked if you wish. 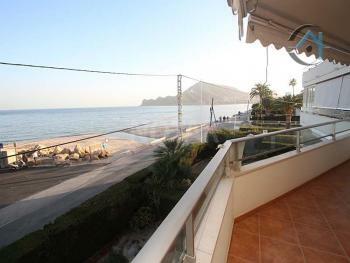 The beach of Altea is only 1km away. This apartment is a must see to appreciate at a very good price. Contact us for viewing!